Hiring your deck desinger and Deck builder. Your Budget - Give the designer a range of costs that would be acceptable and within your means, since it is useless to have a project design that is beyond your ability to fund. Size, Appearance and Function - Provide information on your vital needs like square footage, style preference, space requirement, lifestyle and other functional requirements. Materials - Instruct the designer on your preference of building materials like wood, composite decking. Time Frame - Let your designer know about your time constraints like some vacations, business obligations etc. Gather as much information and recommendations possible from your friends, colleagues and deck builders who are acquainted with the job profile of the designer to assess the efficiency and suitability of the designer in advance. Shortlist the contacts of a number of designers according to your requirement and interview them to decide on best person. Also visit some of your architect’s projects to have a greater outlook. Fix beforehand on the charges to be incurred for a perfect design, since designers may charge a percentage of the whole job, work on an hourly rate basis or require a lump sum. They may provide services like that of a project manager, finding deck builders, a package of personnel and materials ensuring the efficient running of your project – or, providing merely the drawings to be followed up by your own builders. Make sure of the services included within the fee structure of the designer, you may need to move out while some work is done which might incur its own costs such as storage or hotel bills. Look out for hidden costs if any. Decide on the ideas, possibilities, style file, and reasons for embarking on the job, expectations, visual requirements, time considerations and other preferences so as not to change your mind midway. Assess the design, philosophy and communication style of the designer as you meet and gauge whether this may be a good fit for you and your project. Check on the designer's efficiency in dealing with other professional inputs such as availability of trade discounts, requirement of prior applications and requirement of professionals like structural deck building masters. Most importantly, always get your deal finalized in the form of a written contract to avoid complications later. The contribution of an designer behind every well-designed deck cannot be ignored. This leads people to hire designers to suit their required criteria. Thus the quest for a perfect designer should be made judiciously. 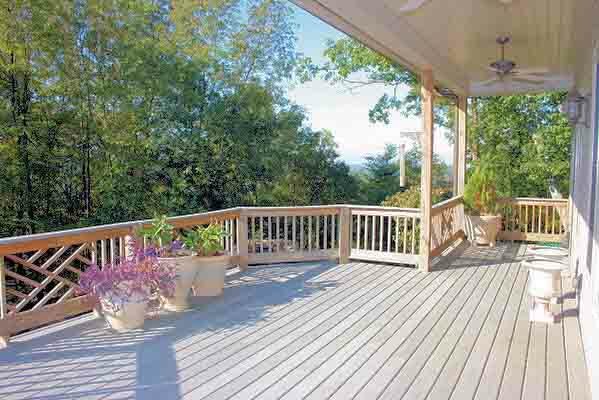 But for the our clients a custom deck desing is Free of charge! Take advantage of our creative designer's ideas and professional work.